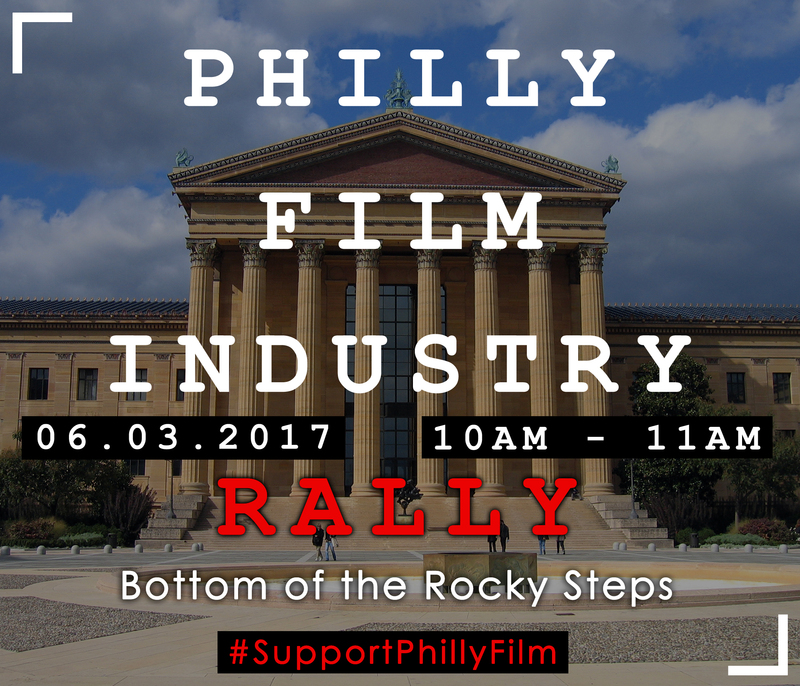 Rally for Philly’s Film Industry! Home/Events, News/Rally for Philly’s Film Industry! On Saturday, June 3rd, join us for a rally for Philly’s film industry! Meet us at the Philadelphia Museum of Art, bottom of the Rocky steps, 10-11am. Bring your colleagues, family, friends, and anyone who cares about our industry! Let’s show the world how many people care about and depend on #PhillyFilm! Strength in numbers! There will be media coverage. This is happening, rain or shine. The future of the film industry in our region is threatened. But the local film industry creates family sustaining jobs for a huge base of production professionals, support businesses and their employees, and provides outstanding content for and about our city and region. Unique challenges are threatening the ability of our local workforce to be able to live and work in Philadelphia while supporting their families. This rally is to unite and galvanize our industry and elected officials into addressing the urgency of supporting the film, TV, commercial, and multi-media industry of Philadelphia.